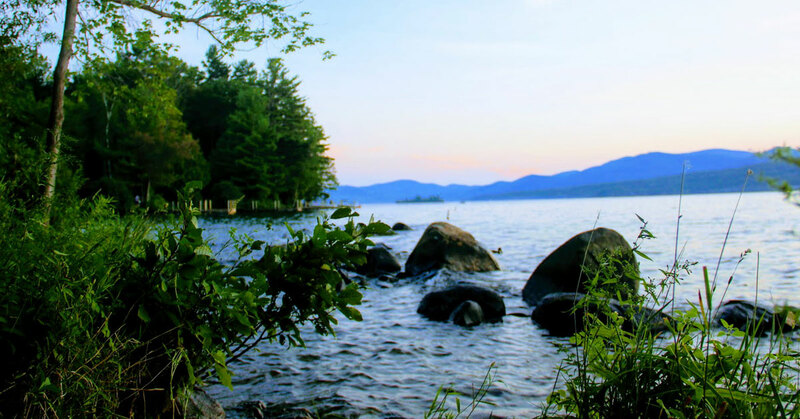 Did you know that there are almost 400 shoreline campsites among the numerous state-owned islands on Lake George? Island camping is a great way to enjoy the lake to the fullest. Nothing is more relaxing than lounging by the water, watching the boats go by, and listening to the sounds of the water splashing on the shores of your own Lake George island. Start planning your next island adventure today! Book early! 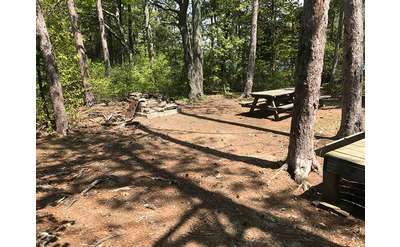 The race for reserving island campsites begins months in advance, and the best sites are often taken quickly. 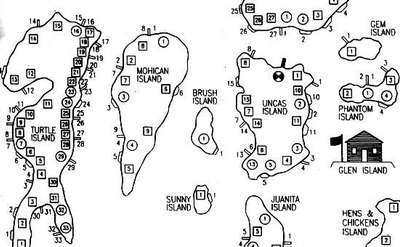 Check out all the islands and campsites below, and then select several you would be happy with because it's important to have a backup plan. Find answers to your questions before beginning your island camping adventure in our FAQs. Learn some of the most important rules and regulations that are in place for island camping. 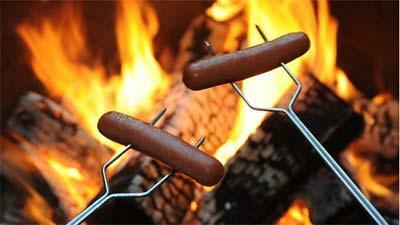 Know the basics of camping in the wilderness if you've never been before. 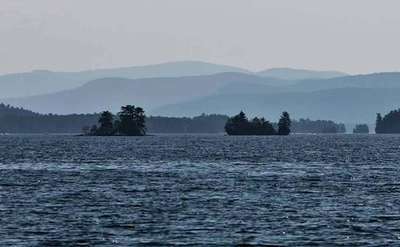 Hen and Chickens Islands are located at the northwestern end of the Shelving Rock Area on Lake George. 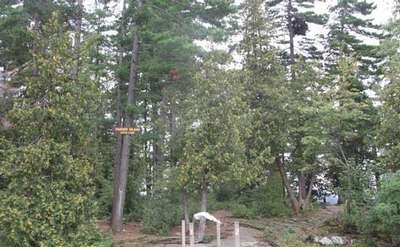 Log Bay Island is a part of the Glen Island Group on Lake George and features 12 campsites with living/sleeping quarters. 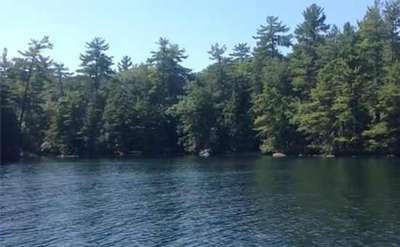 Very close to Black Mountain Shore and north of Red Rock Bay and north of Sarah and Hazel Islands in Lake George, you'll find this lovely one campsite island! Water Depth: 2.5 feet with a ten platform. 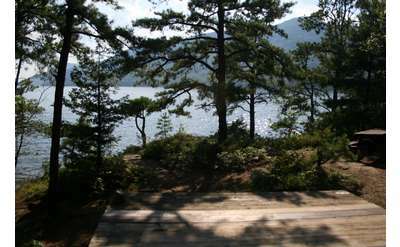 You will find this wonderful private one campsite island on the eastern shore south of Log Bay. It has a tent platform and the northern end of the island is mostly rock. There is good fishing off the island. 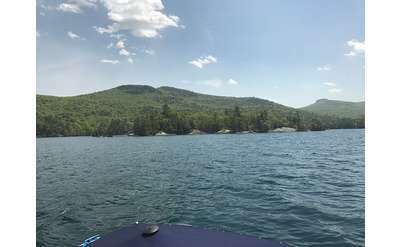 Lake George's Duran Island has an odd shape giving it many points that allow its 8 campsites to be fairly large and private. Each site has a tent platform and a maximum capacity of 6 people. Many sites pair nicely together for larger groups. Horicon Island is a one campsite island bathed in morning sun. It's perfect for families. One campsite island. Water Depth: 4 feet. There is a shore dock and tent platform. Windy site means great bug protection. Very sunny campsite. 2 people maximum on this island. 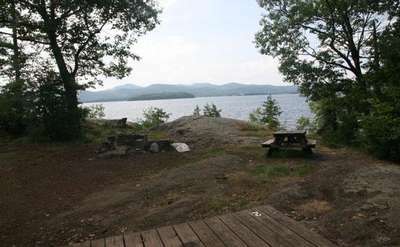 Big Burnt Island on Lake George features a variety of campsites. While some are fairly private, others are great for small and large groups. A two campsite island just south of Commission Point near Red Rock Bay. Large island with large sites. Water Depth: 2.5 feet. 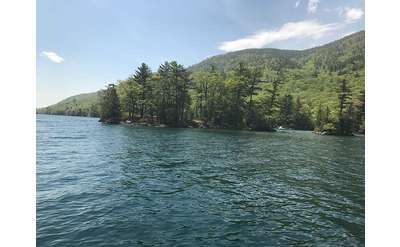 Explore Vicar's Island on Lake George. 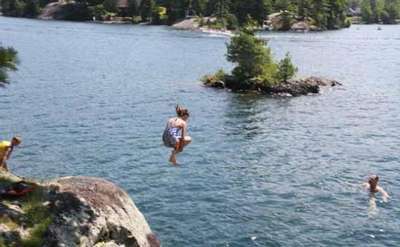 Enjoy Lake George camping at its best on Vicar's Island! Vicars is across from Snug Harbor Marina. So if you are in need of gas or want to pick someone up for the day, Snug Harbor Marina makes a nice stop. 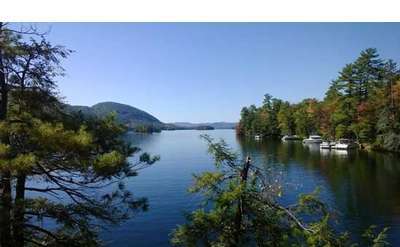 Book your own private island on Lake George. 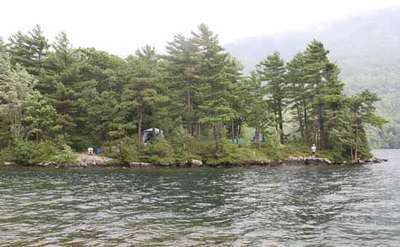 Bass Island is a fabulous, partially-shaded one campsite island on the west side of the lake. Phantom Island is a nice four campsite island just across the channel from Glen Island. Glen Island is where the ranger station and general store are located, so Phantom Island is close to the store but is not as secluded. A three campsite island next to West Dollar Island (which has great jumping rocks). Water Depth: 3-4 feet. All three sites have platforms. Little Gourd Island is a single site island which is limited to 2 people. Water depth is 4 feet. Very sunny with no wind protection. Tent platform and shore dock are included. Ranger Island is a fabulous two-campsite island close to Bolton Landing, NY just south of Glen Island. 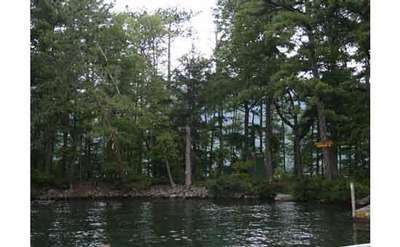 Mohican Island is a small camping island on Lake George NY. There are great views and many different campsites. Learn more and see photos! Close to Log Bay, you'll find this wonderful sunny, three campsite island. 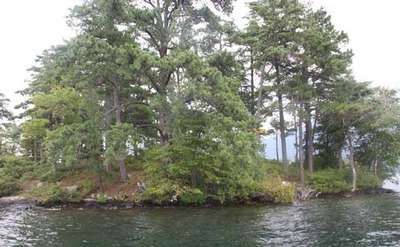 Brush Island is the largest one campsite island on Lake George located just south of Big Burnt Island and to the east of Uncas. Water Depth: 3 feet. 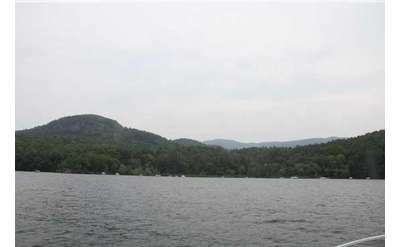 Paradise Bay is located on the eastern shore of Lake George, just north of Shelving Rock. Take a cruise and enjoy the beautiful views of the islands, shoreline and the Adirondack Mountains! 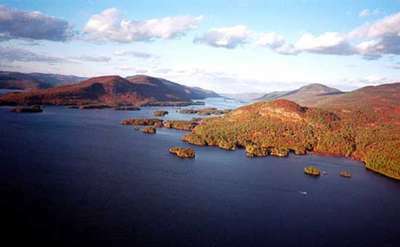 The Narrow Island Group (not to be confused with the "Narrows" of the Glen Island Group) is in the central part of Lake George, north of the Glen Island Group. From I-87 take Exit 20 to Rt.149-Rte. 4-Rte.22-follow signs for Hullets Landing & Marina. 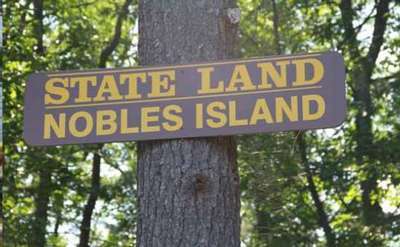 Nobles Island is a three campsite island and each campsite is very private, #1 faces south and covers about half of the island. 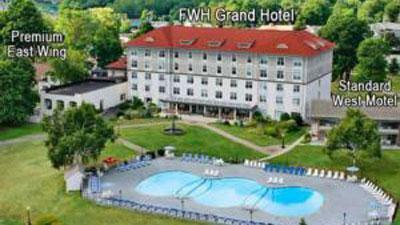 Located near Huletts Landing and Huletts Landing Marina on the east side of Lake George. 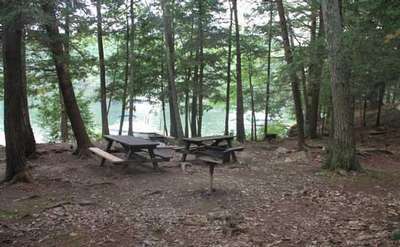 Sunny Island is a nice one campsite island close to Mohican Island on Lake George with a shore dock and a platform, it's just northeast of Glen Island so it's ideal for someone who wants to pop over to Glen Island for ice cream treats and supplies. Sagamore Island is not where The Sagamore Resort is located. The Sagamore Resort is actually on Green Island. You'll find Sagamore the six-site, overnight state-owned camping island just a little north in the Mother Bunch. 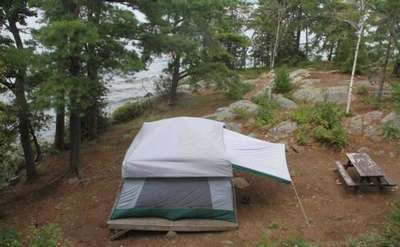 Lake George's Agnes Island has 5 campsites, two of which have tent platforms. Maximum capacity for each site is 6 people. Water depth ranges from 3.5' to 6' and docks are typically shared between two sites. This island utilizes a pit-type privy. Burgess Island is a five campsite island on Lake George in the Narrows close to Hulett's Landing. It is well known for it's jumping rocks. Docks are deep water docks with depths up to 6 feet. 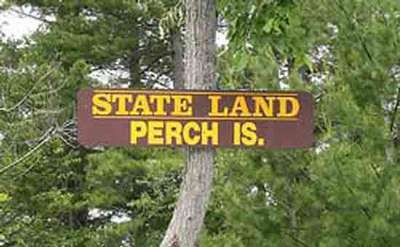 Perch Island is a small, private island at the southern end of the Glen Island Group on Lake George. There is a single campsite on the island, and we found out that it is perfect for couples or families that crave privacy! 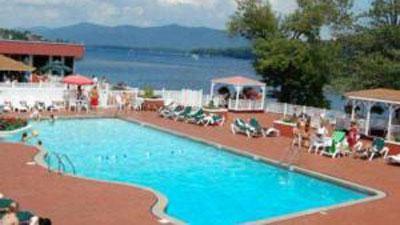 Phelps Island on Lake George is sunny and a nice area to swim near. 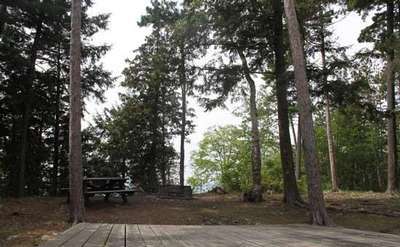 Juanita Island is a small but peaceful camping island with breathtaking views of the lake. Perfect for camping with kids, a large group, or with your sweetheart! 6 reservable campsites available. 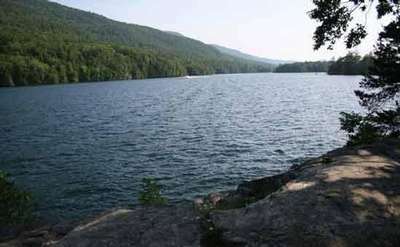 Just a bit further north of the Glen Island group & on the east side of Lake George is an area called Red Rock Bay, a beautiful area for camping, with 30 sites for cruisers only. Note: Campers must sleep on their boats as tents aren't allowed. 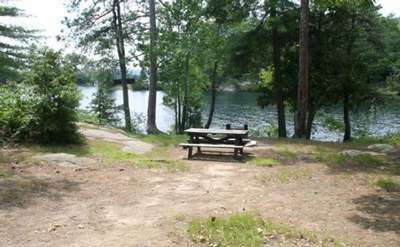 A two campsite island which is known as a dark island as its surrounded by trees. Despite its reputation, we found it to be somewhat sunny in the center of the island. 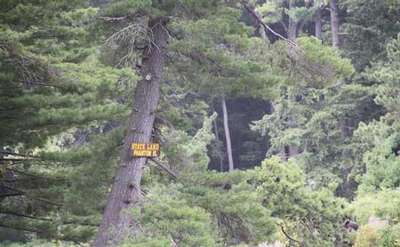 Due to the trees, there is little visibility from the campsites to the lake. Looking for information on Little Harbor Island camping? View our guide about Little Harbor Island and its campsites! 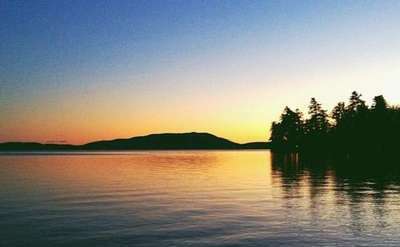 Close to the western shores of Lake George and the Point of Tongue Mountain, you'll find a large 33 campsite island named Turtle Island. Some sites allow for boats with drafts up to 6 feet. 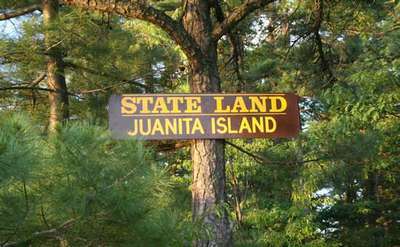 Explore Uncas Island... why stay at a hotel when an island site awaits! 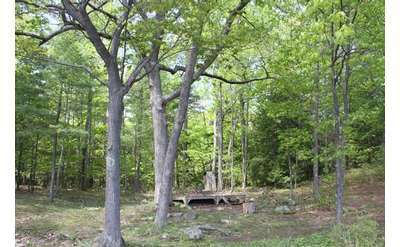 See photos and learn more about Uncas Island. A 12 campsite island just north of Big Burnt Island. Water depth varies from 2.5 to 4 feet. 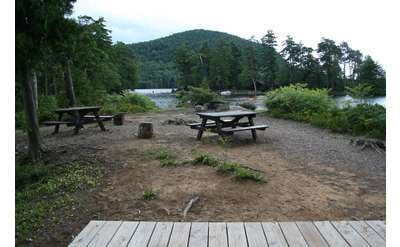 On the east side of the lake at the foot of the tallest mountain on Lake George, you'll find some wonderful campsites. Campsites accessible by boat. Water depth: 2.5-4 feet. Just a little south of Red Rock Bay on the shoreline, you will find Commission Point, it is a great spot to picnic or get a day pass when the islands are all full. 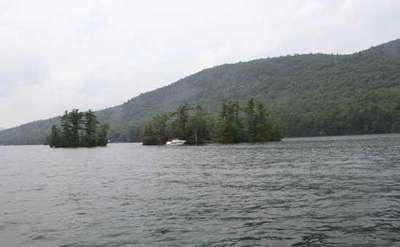 Gem Island is a nice private island on Lake George that is perfect for a small group of campers. Water depth: 3.5 feet. See photos and learn more about this little island! A single campsite island near Vicars and Harbors Islands, located just south of Davis Bay. The island is flat with room for two tents, but there is no tent platform. 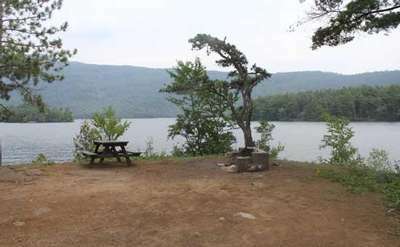 The Glen Island Group is just off of Bolton Landing and this ranger station is the closest one to Bolton Landing, NY. So if you are using a Bolton Landing Marina for launching your boat, the Glen Island Group is the best choice of islands for you. 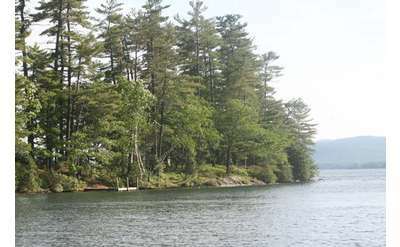 Lake George's Phenita Island is the perfect choice for some privacy while you camp. This long, thin island has a maximum capacity is 4 people. It has lots of shade as well as the perfect sunny spot to pitch your tent. Log Bay on the east side of Lake George is one of the most popular bays on the lake. 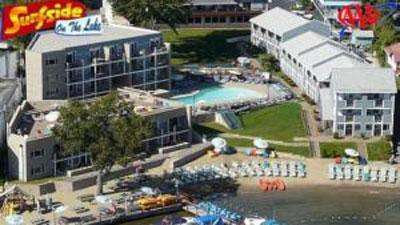 The bay is a popular hang out for families and cruisers for overnight stays. 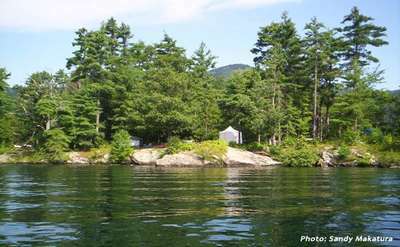 Mallory Island features one campsite and a shore dock in the Narrow Island Group on Lake George. 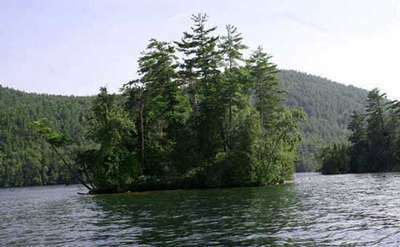 Watch Island is a one campsite island on Lake George in the Glen Island Group near the Black Mountain Shore. 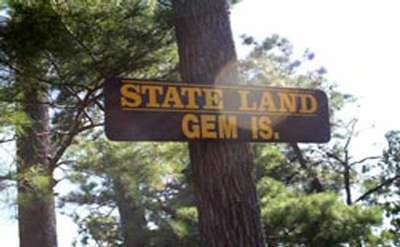 The campsite must be reserved at the Glen Island Ranger Station. 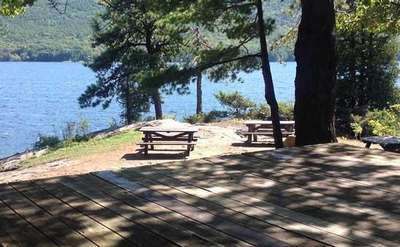 Pine Island is located in the Glen Island Group on Lake George and features one campsite for up to six people. 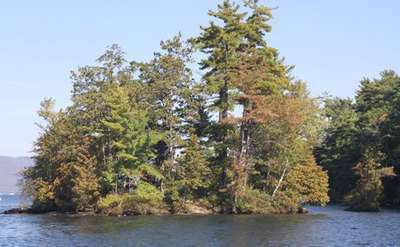 Cooper Island is a one campsite island in the Narrow Island Group on Lake George. It is located close to St. Sacrament and Mother Bunch Islands. 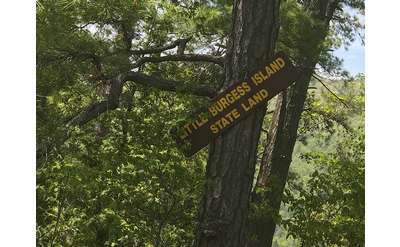 Little Burgess Island has one campsite and can host up to 4 people. The dock for this island is 24 feet.